It's been just over a year since my short story collection was released, and as much as I'd like to reflect on the experience in depth, I've been increasingly distracted today. This morning, the battery on my bluetooth headphones abruptly died, and on impulse I decided not to take them out of my ears. Maybe I was feeling anti-social and wanted some visual buffer? Whatever the reason, I was startled to discover that when you keep headphones in but don't listen to music, it radically amplifies all of the internal sounds you normally never notice. Or put another way, for the first time I could hear all of the weird and gross noises I was making. Suddenly my day was full of weary little sighs, percussive grunts, effortful pug-like snorts, mall fountain stomach gurgles, and worst of all, a grotesque litany of chewing sounds. You think Dolby Surround Sound is impressive? Try eating a Chipotle chorizo burrito while wearing headphones. I sounded liked the cave troll in The Fellowship of the Ring—if he were wearing braces and had a blazing sinus infection. Publishing the book was an incredible experience. The national tour was a lot of fun, visiting friends across the country was a treat, and I loved participating in readings... even the odd ones, like a group reading that was took place not in a brewery, as I'd expected, but in a home brewery/ amateur beekeeper supply store, where I read to listeners casually sipping pale ale while rows of stark white beekeeper suits lurked behind them. Since the book's publication, I've been hard at work on a novel. It's challenging to write a novel, particularly when your time is limited, and so I went on the Writerly podcast with the co-host and bestselling author Danielle Trussonito talk about my daily practice of micro-writing, i.e. writing for 35 minutes on the train to work every morning. If, after you listen to both episodes, you still want to hear more from me, here are other interviews and podcasts I've done. 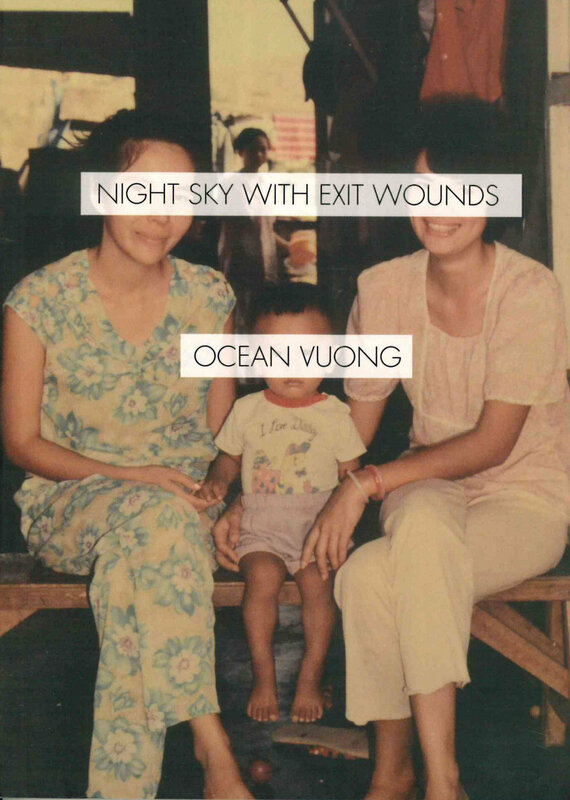 Yes, I am way behind on this one, as Vuong's book of poetry came out a couple years ago, and won at least a dozen prizes, including the 2016 Whiting Award. I'm just glad I finally started it. It is staggeringly good. Warning: it's powerful and haunting, not the kind of book you can read all at once. I read a few poems a night, then lay there in a daze. I was on a panel with Rita in the spring, just before Belly Up came out. She read one of the stories from the collection and it was so weird and brilliant, so off-putting and darkly funny, that I still think about it. The New York Times Book Review raved that the book is "full of squirmy pleasures."